Most words in any language develop organically over time. As people encounter new objects or ideas, they decide how they will refer to them when speaking to one another. Chemical elements, on the other hand, do not follow this pattern. Some researchers have chosen to name their discoveries after astronomical objects, such as planets and asteroids. For example, Cerium was named after Ceres, an asteroid that had been discovered shortly before the element was named. Palladium was named after Pallas, another asteroid. Likewise, the element Mercury was named in honor of the planet Mercury. Incidentally, the names of all of these astronomical objects were derived from various figures in classical mythology, so these elements essentially owe their names to mythology. Other researchers have chosen to name elements after famous scientists who made significant contributions to the field. For example, Alfred Nobel was honored when the element nobelium was named. Einsteinium was named after Albert Einstein, and copernicium was named after Nicolaus Copernicus. Thus far, scientists have not named elements after themselves. Still, other researchers have named their discoveries after various notable places in the world. In many cases, these choices are made as a sign of the researcher’s patriotism. For example, the element strontium is named after the village of Strontian in Scotland. The elements erbium, terbium, yttrium and ytterbium were all named after Ytterby, a village on a small Swedish island. As of December 30, 2015, the seventh row of the periodic table was filled with four new superheavy elements verified by the International Union of Pure and Applied Chemistry. 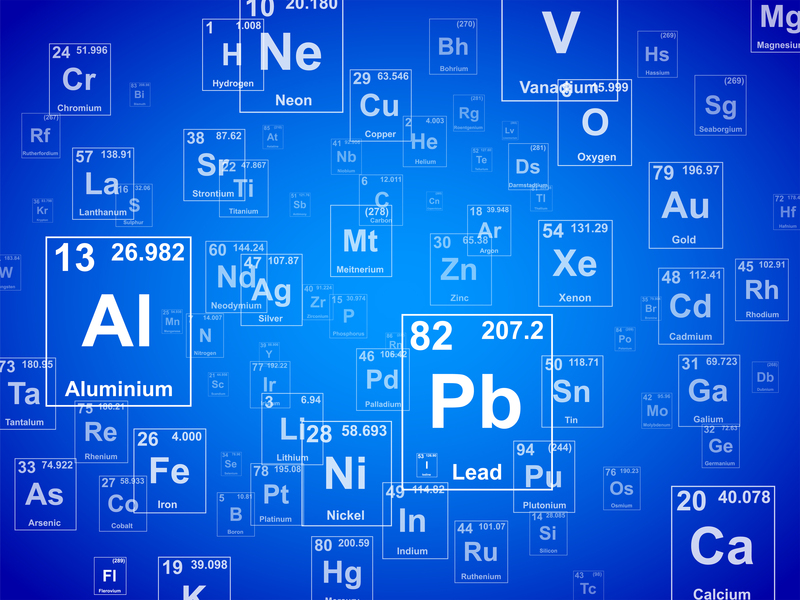 Although these elements exist for less than one second before decaying, their existence has been confirmed, and they have been officially added to the table. The new elements were discovered by scientists from the United States, Russia and Japan. They currently bare placeholder names, but they will receive their official names from the parties who were ultimately credited with their discovery. For three of the elements discovered, a collaboration of Russian and American scientists will have the honor of determining the official names. The other element, however, will be officially named by a team of Japanese scientists. As with past elements, these new elements will most likely be named in honor of a famous scientist, a property, a place or an astronomical object. For now, they are being referred to as ununoctium (Uuo), ununseptium (Uus), ununpentium (Uup) and ununtrium (Uut). Ajay-SQM and Iodeal Brands strive to provide the best quality iodine derivatives at unparalleled quantities and qualities all across the globe. Stay up to date with industry news, interesting facts about iodine derivatives and more by following our blog. Get in touch with our team today for more information.